Does your elevator speech sound more like elevator music? 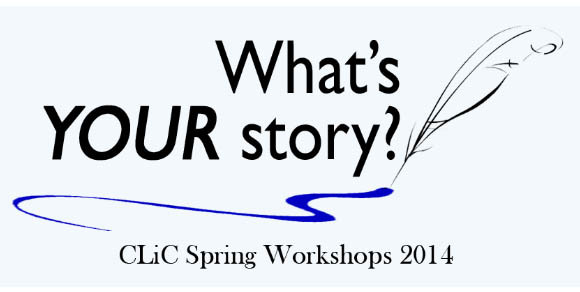 Learn how to add meaning and value to it by brainstorming and sharing examples of how to combine statistics with stories to craft a powerful advocacy message for various stakeholders. You are encouraged to bring data from your annual Public Library Survey results and/or any other statistics you collect about your library for use in drafting your own elevator speech. Amid the chatter of new technologies and service models, sometimes more “traditional” library services can be lost in the noise. Library Journal surveyed nearly 700 public libraries in the U.S. and Canada to get a better picture of one of those traditional services: readers’ advisory (RA). 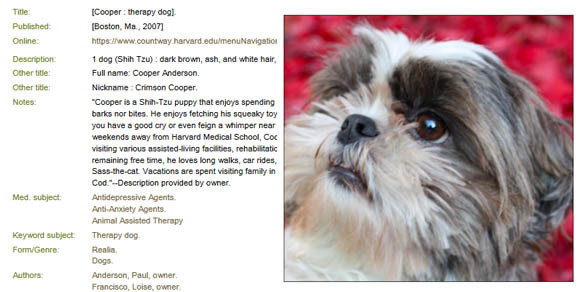 While every single library offered personal RA in the library, the actual service model varied. A strong majority (85%) offered RA at the reference desk, and 59% offered the service at the circulation desk. Nearly all respondents also offered self-directed RA, ranging from book displays (94%) to printed resources (75%) to shelf talkers (39%). Digital RA is also popular—more than 9 in 10 libraries (93%) offered it—with most service taking the form of online resources like book lists and read-alikes. Social media is also a popular outlet, with about half of libraries (49%) using social tools specifically for book recommendations. Nearly 3 in 5 public libraries (59%) measured RA services in some way, typically through usage statistics from e-resources like NoveList (38%) or tracking the number of RA-related questions (24%). Unfortunately, measuring general RA service success is much more limited, with just 9% of libraries monitoring return RA business and only 4% offer a feedback loop on the quality of staff recommendations. Interestingly, at 7 out of 10 public libraries, RA services were provided by the entire staff. About a quarter of libraries (26%) had certain staff or subject specialists who offered RA, and less than 1 in 10 (9%) had full-time readers’ advisors on staff. Generally, staff felt challenged when faced with keeping up with new books, authors, and genres, but most (61%) rely on book recommendation databases like NoveList and professional journals (42%) to keep up with trends. Check out our other recent Weekly Number posts where we discuss reports on adults’ reading habits and children’s consumption of educational media. Last week, we highlighted some of Pew Internet’s recent findings on Americans’ reading habits, including trends in e-book reading and tablet usage. For the library perspective, Library Journal offers an annual survey on how e-books are being used and adopted in U.S. public libraries. In its fourth year, the 2013 survey includes data from more than 500 libraries about e-book circulation, collection, and acquisition. Generally, e-book demand has eased off and collections are more stable, all while circulation continues to grow. Of those libraries surveyed, nearly 9 of 10 (89%) libraries offer e-books—the same as in 2012—and a quarter of those who don’t offer e-books planned to start in the upcoming year. Median e-book collection size continues to grow, rising from 5,080 in 2012 to 7,380 in 2013. Median circulation more than doubled from 2012, and it surpassed the 12,000 mark in 2013. This despite that 91% of public libraries’ e-book titles are lent using a one-title/one-user model and the average holds-to-copy ratio was 6 to 1. As is to be expected, respondents reported the major barriers to e-book usage were limited numbers of e-books and availability of popular titles. And the public is still having trouble making the e-book checkout process work: More than 2 in 5 (43%) respondents said they heard patrons ask for help downloading e-books on their devices every day. Resources to purchase e-books are also limited, but libraries seem to be making do, whether by reallocating funds from elsewhere in the materials budget or looking to consortia for help. Read the full report, available for download courtesy of Library Journal, to learn out more about how public libraries are handling everything from device lending programs to purchasing terms. And check out statistics on e-books in Colorado’s public libraries through our interactive data tool at http://www.lrs.org/public/data/basic/. E-reading continues to grow in popularity among US adults, but print reading still rules, according to recent study results from the Pew Internet & American Life Project. Nearly 3 in 10 (28%) adults reported reading an e-book in the past year, up from 23% in 2012. But 7 in 10 (69%) adults read a print book in the past year. In fact, the “e-book” only crowd remains small, at just 4% of readers. Across all formats, 76% of adults read a book in the past year. Of those who did read a book in the previous 12 months, the average number read was 16 (the median number was 7). Women and those with higher income and education levels were more likely to have read a book in the past year. So what about e-books? Of those who read a book in the past year, younger adults and those in urban and suburban areas were more likely to have read e-books than those 65 and older or in rural areas. E-readers and tablets are the devices of choice for e-book readers, with 57% of them using e-readers and 55% using tablets to read e-books (compared to 41% using e-readers and just 23% using tablets in 2011). These trends mirror larger device ownership trends, with half of Americans now having a dedicated handheld device for reading electronic media—up from 43% in September 2013. In our new Fast Facts, Computers in Colorado’s Public Libraries, we dive into data from the 2012 Public Library Annual Report to offer insight into the state of computer use and technology hardware offered in Colorado’s public libraries. 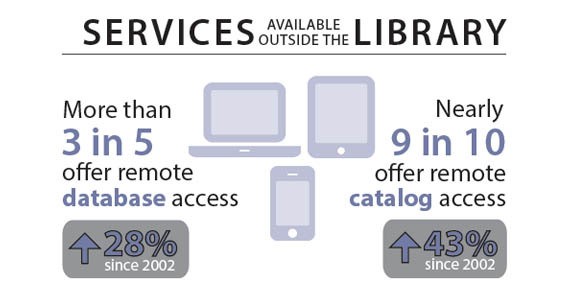 We also examined trend data for the past decade (where available) to demonstrate how libraries have adapted to the growing demand for and changes in technology—from number of computers to wireless availability. So what does this demand look like? In 2012, internet computers were used more than 6.8 million times! Of course library services don’t end in the building: The library website has increasingly become a portal to 24/7 access to what the libraries have to offer. In Colorado, 89% of public libraries have websites, according to original research completed by the Networking & Resource Sharing Office of the Colorado State Library. And patrons are using this access point: Libraries reported about 25 million unique visitors to their websites in 2012. 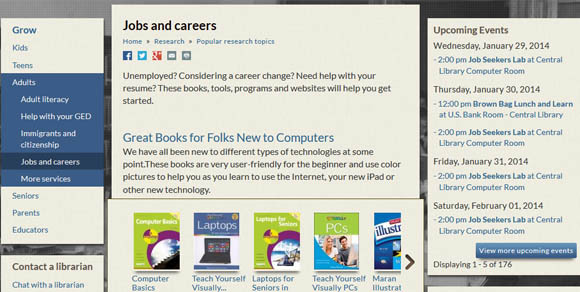 Learn more about what services libraries are offering online with our national, longitudinal research project U.S. Public Libraries and Web Technologies. Zoom in on the trends in Colorado in our Fast Facts report and infographic. Overall, parents said their children spend just over 2 hours a day (2:07) with screen media, with 44% of that deemed “educational” by the adults. The amount of time spent with educational media decreased as age increased, with the youngest group, ages 2-4, spending 1:16 hours a day and the oldest group, ages 8-10, spending just 42 minutes. As might be expected, TV was the dominant form of educational screen media, with three-fourths (76%) of all educational media in a given day being streamed through a TV. Parents were also asked to indicate what their children learned by using educational media. Among those who used it weekly, more parents said their child learned “a lot” about cognitive skills and reading/vocabulary (both 37%) and math (28%) than science (19%) or the arts (15%). Interestingly, format mattered: More parents said their child learned a lot from educational TV than from mobile devices. The children who use educational media weekly are also doing something about the media they view: Their parents said they talk about what they saw or did (87%), engage in imaginative play about it (78%), and ask questions about it (77%). Even better? Three of 5 parents (60%) said their children taught them something about what they saw or did. This group of 2- to 10-year-olds spent an average of 40 minutes a day reading or being read to, of which 29 minutes were spent on print books, 8 minutes on a computer, and 5 minutes on an e-reader or tablet. The amount of time parents and children spent reading together decreased as age increased, with 2- to 4-year-olds spending 44 minutes co-reading and 8- to 10-year-olds spending 24 minutes co-reading. Differences in reading time were not statistically significant based on race, income, or parent education, or among the age groups; however, there was a significant difference in children’s gender, with girls reading for 46 minutes a day and boys reading for 34 minutes, on average. Read more about how families are interacting with educational media—or choosing not to—in the full report. This rich report also breaks down the topics by race/ethnicity, education level, and family income to gain deeper insight into how parents view educational media. Libraries: how do you connect families with educational media resources? Let us know by chatting with us on Twitter. About half of the respondents visited the library to use the computers; of these, 26% were homeless. About 1 in 5 respondents using computers were doing so for job-related purposes; of these, 44% were homeless. More than 1 in 10 respondents intended to search for essential services online, such as those related to finding housing, jobs, or counseling for mental health, substance abuse, or domestic violence; of these, 44% were homeless. In response to the survey results, Multnomah County Library created a plan to improve its services for patrons coping with hardships like homelessness and mental illness. Within six to twelve months, the Library will designate and train certain employees to serve as Persons In Charge (PICs), who will be responsible for knowing about essential county- and independently-offered services, in order to “facilitate better referrals to patrons.” Within this timeframe, the Library also hopes to have all PICs complete an eight-hour Mental Health First Aid course. At 12 months, the Library will collaborate with the Department of Human Services to develop a training course for other, non-PIC employees likely to interact with patrons in need. Though impressive, Multnomah’s efforts are just some of the many ways in which public libraries help those in need. How does your library reach out? How can it improve its efforts? 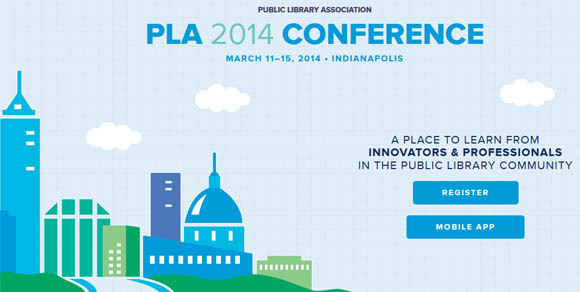 Do you know of a particular public library that deserves recognition in this area? Let us know by chatting with us on Twitter. The Supporting Parents in Early Literacy through Libraries (SPELL) project recently presented findings from its study on effective strategies for developing early literacy messaging and support to low-income families and parents of children from birth to 3 years old. The project included an extensive environmental scan and literature review to find patterns and major trends across disciplines, the results of which are available here. The next phase of the project included a survey and focus groups of more than 250 families with children from birth to 3 years old in 2 metro and 2 rural communities in Colorado. Topics covered in this phase included use of library services, information-seeking behaviors, and reading activities. So what did field research have to say? Public libraries are used by people of all income levels, however low-income families made more use of library services, especially the building itself. 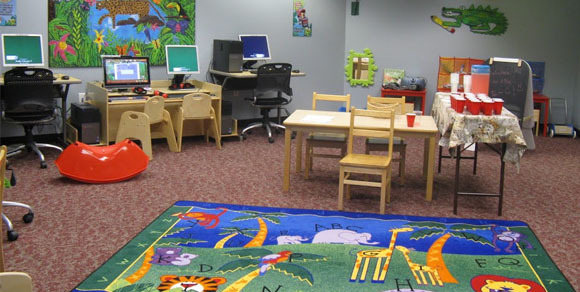 Low-income families attended library programs for children less frequently than more affluent families, but they reported attending adult programs more frequently. Library staff were considered valuable resources for encouraging reading, while other resources (such as a doctor’s office or church) were consulted for information on raising and educating children. Every survey respondent believed it is important to read to young children. And, three-fourths of the respondents reported reading to their children daily; however, these results varied based on income, number of children at home, and education levels. Learn more about the results in the study report. A blueprint of best practices based on project findings is also available to help libraries and community partners implement early literacy initiatives. Want more early literacy information? Check out our Fast Facts, Early Literacy Information on Colorado Public Library Websites, and visit the Colorado Libraries for Early Literacy website for extensive resources, practical guides, and real stories from Colorado libraries.